Another teachers strike could happen in the Bay Area. Dublin teachers began taking a strike vote Tuesday after bargaining with the district for over a year. 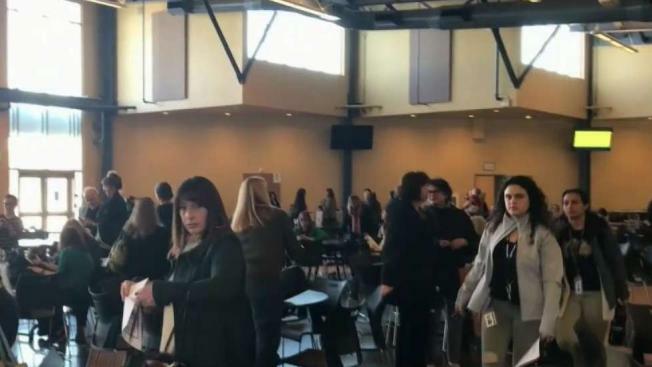 Dublin teachers have overwhelmingly voted to authorize a strike in the event that a contract settlement isn't reached with the Dublin Unified School District, the teachers' union said. "Our district management and school board have failed to listen to the voices of teachers," Kreitz said in a statement. "We know what our students need and we know what our school district can afford. Our members see our students are getting shortchanged and have said enough is enough." She said, "Teachers are ready to walk out together, if necessary." Kreitz said she hopes for a settlement and to avoid a strike but also said, "We are ready to stand up for what's best for our students." Superintendent Leslie Boozer said in a statement that the strike authorization vote "doesn't change our confidence in our ability to collaborate with the DTA and reach an equitable solution that fairly compensates our dedicated teachers while ensuring the ongoing ability of the school district to invest in other critical educational resources." Boozer said, "A top-notch educational community starts in the classroom with our dedicated teachers. But that is only part of the puzzle. As a district, we must take a full view of our budget and our resources and balance the needs of today and the future." Kreitz said teachers planned to pass out leaflets in front of school sites on Tuesday and to have a brown bag lunch for Dublin High School teachers who can come to the school district's office to support the union's mediation team. Kreitz also said the union may hold a rally at the district's office at 3:45 p.m. Tuesday, depending on how the mediation session goes.